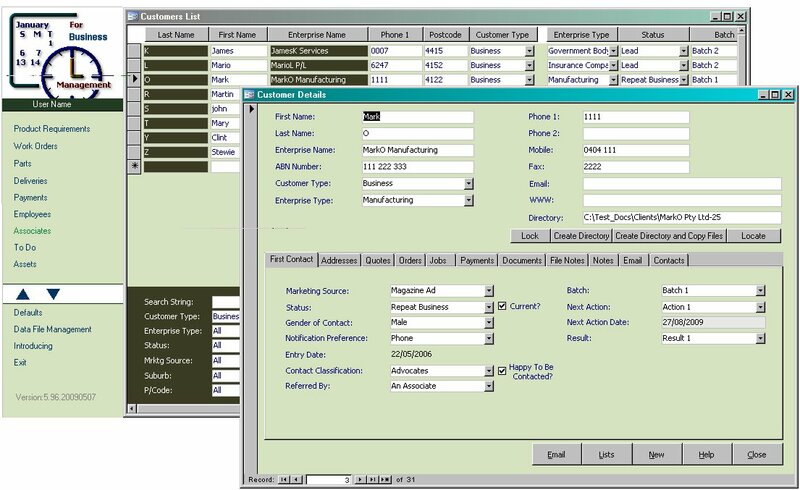 A well considered customised version of For Business Management - Workflow Essentials can save a business substantial time and money in administrative and business management costs - optimising workflow and information management. Be linked to an accounting package such as MYOB. Provide extended CRM capabilities including client file notes, appointment scheduling, and todo lists. Provide advanced job management including employee timesheets, and extended project management.